The ACT Senior Secondary Certificate provides access to further study in a wide range of Degree, Diploma or Advanced Diploma level courses in Australia. 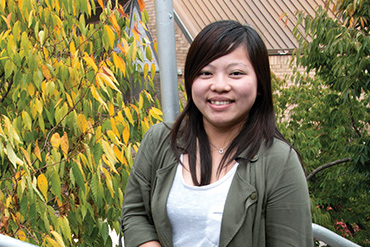 Students may choose a tertiary program for entry into university or an accredited program for entry into Diploma or Advanced Diploma courses at CIT or other vocational education providers. 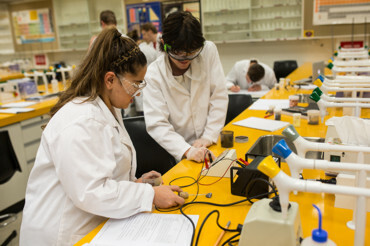 Entry into specific courses may depend on subject selection and the level of Australian Tertiary Admissions Rank (ATAR) achieved for university entrance. Students will study in classes with Australian students and choose subjects, from those available, best suited to their future study. Students must be at least 18 years of age on 31 January of the year they commence studies. University education, TAFE Diplomas and Advanced Diplomas, specific employment areas requiring Year 12 and general employment. Students study in face to face classes as well as through CIT’s online learning platform, eLearn. Extra resources and support are available through eLearn and face to face study tutorials. Classes use CIT’s science and ICT laboratories and all general classrooms have data projectors. The ACT operates a system of school-based curriculum and assessment. Assessment in the ACT is continuous school based assessment. This means there are no external subject-based examinations. Courses are taught and assessed unit by unit. A unit of study is organised around a particular theme or skillset and has a value based on the time the unit took to deliver: One standard unit of study towards a Senior Secondary Certificate represents a minimum of 55 hours of timetabled classes generally over one semester. Moderation is conducted every semester to ensure comparability of grades from different schools and the ACT Scaling Test (AST), a higher order thinking examination, is used to compare Tertiary scores from different schools for calculation of the ATAR. Please refer to the ACT Board of Senior Secondary Studies website for more information. Successful completion of this program will contribute towards meeting the requirements for entry into a Diploma program offered by CIT or a Degree at university. Page Updated: Monday, April 1, 2019 | © 2019 Canberra Institute of Technology. In the spirit of reconciliation, we acknowledge that we are on Ngunnawal land.